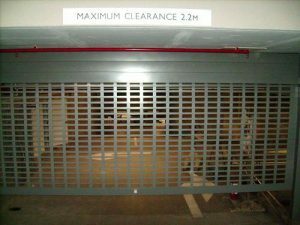 These are ideally used in shopping complex's, arcades, large entrance doorways, shop fronts, buildings near the sea, carpark entries and chemical enclosures. The Panorama Super-slat 105 is used where additional security and strength is required over and above the standard 100S Panorama slat. 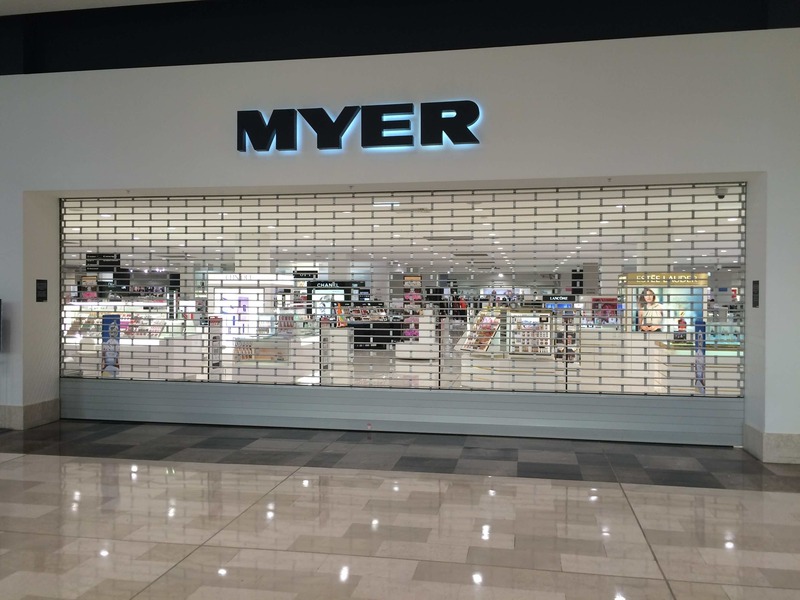 The aluminium panorama roller shutter will be as manufactured by 3rd Generation Doors. The curtain will be extruded aluminium interlocking slats of the type Panorama 105 or Panorama Supa-slat 105 (as specified). The curtain will be fitted with nylon end clips on each alternative slat to prevent lateral movement. The bottom rail and guides will be of extruded aluminium matched to suit the door. 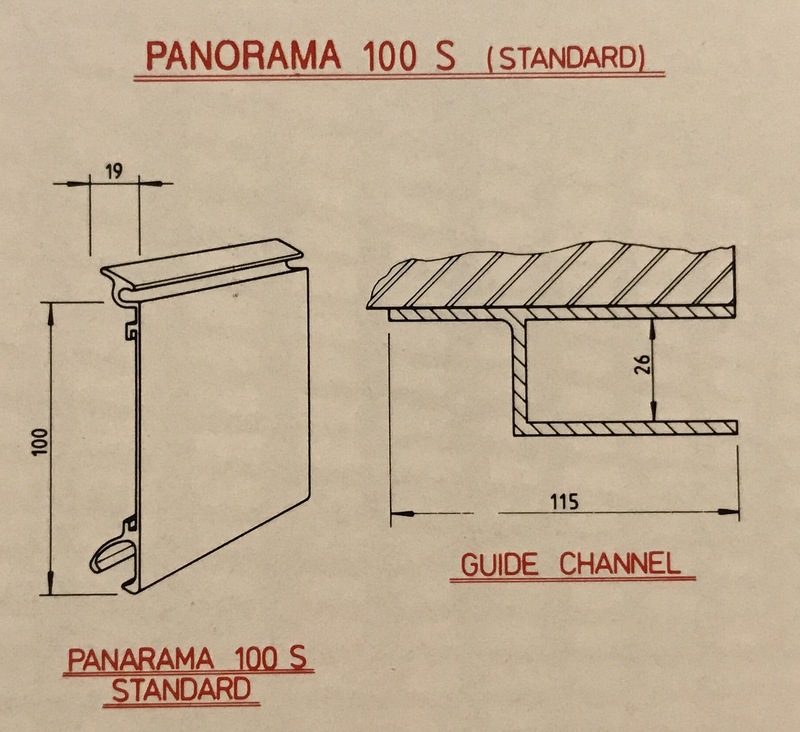 The Panorama 100S curtain will be manufactured using specially extruded interlocking 100mm high by 19mm deep by 1.6mm thick aluminium slats to form a continuous curtain. Each alternative slat will be fitted with specially moulded nylon end clips riveted to each end to prevent lateral movement. 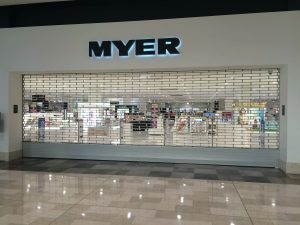 The bottom rail will be manufactured from specially extruded heavy gauge aluminium box section attached to the bottom slat for adequate strengthening of the aluminium shutter curtain. The guide channels will be specially extruded 116mm by 32mm by 3mm thick aluminium sections. 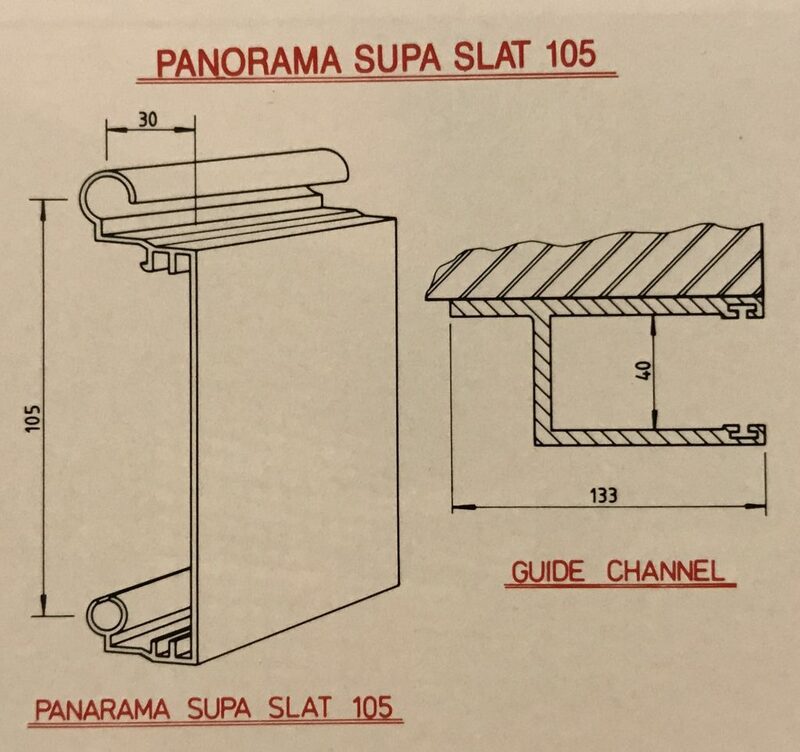 The Panorama Superslat 105 curtain will be manufactured using specially extruded interlocking 105mm high by 30mm deep by 1.6mm thick aluminium slats to form a continuous curtain. Each slat will be fitted with a specially moulded nylon end clip, riveted to each end to stop lateral movement. The bottom rail will be manufactured from specially extruded aluminium interlocking section measuring 165mm high by 30mm wide by 3mm thick. The guide channels will be specially extruded 134mm by 48mm by 4mm thick aluminium sections incorporated within the guide to the back and front face a felt cushioning seal is inserted. Up to 4,200mm high by 9,000mm wide on internal use. (For external use consult manufactured). 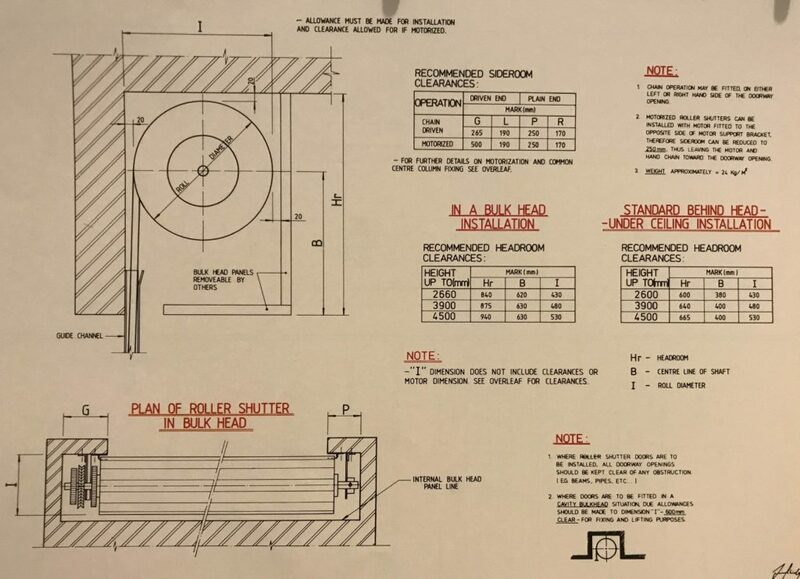 The roller drum will consist of 220mm diameter minimum seamless cylindrical tube encasing hilical torsion springs, matched to suit door size and weight and manufactured from a super grade wire revolving around a steel axle. 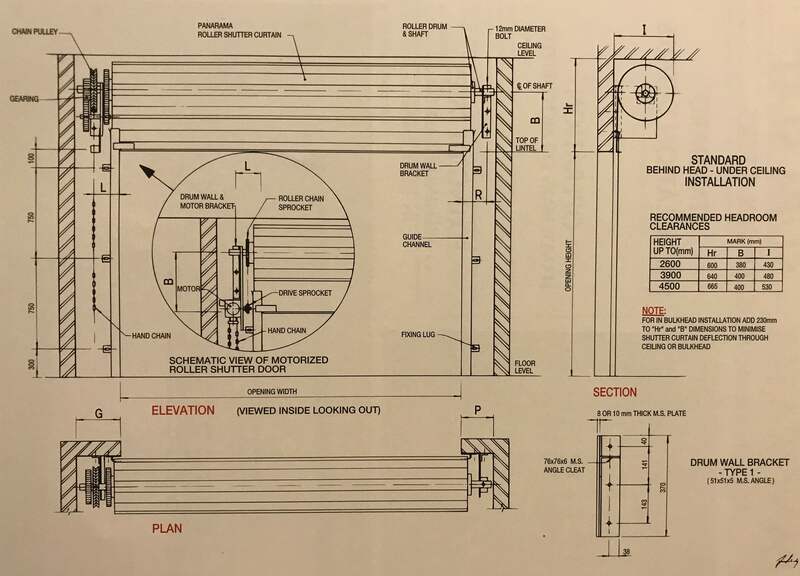 The roller drum will be designed to give minimum deflection over the door span. 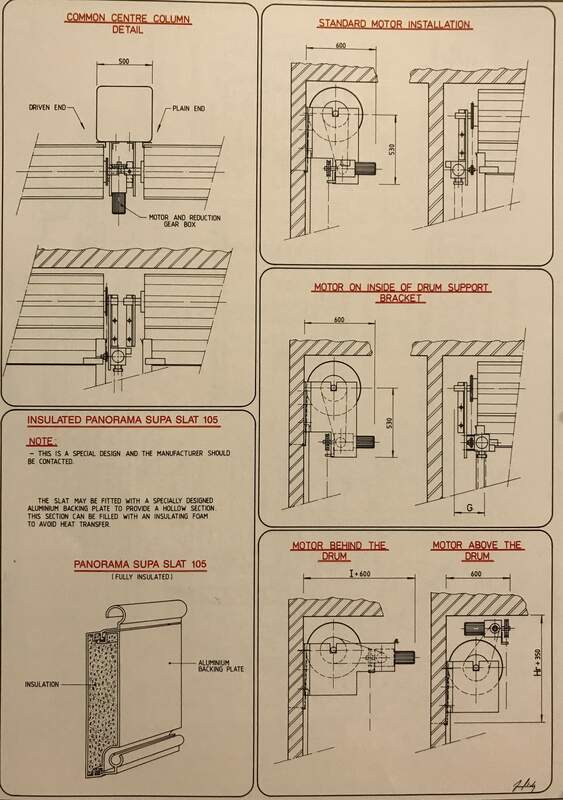 The roller drum support brackets will be manufactured from mild steel plate having a minimum thickness of 8mm thick and/and/or matched to suit door size and weight. Operation is by hand chain or electrically motorised according to size and preference or as selected. Chain operation is by endless chain and gear reduction. Centre mullions may be incorporated to suit individual or multiple openings. Natural anodised or colour anodised. Ventilation is provided by punching slots of 106mm long by 60mm high at 100mm spaces. The slots may be incorporated to any number of slats as specified. Vision panels are provided by punching slots of 106mm long by 60mm high at 100mm spaces. The slots may be incorporated to any number of slats and fitted with 3mm clear acrylic panels to back of slat to cover area slotted. Note: 3rd Generation Doors reserves the right to make without notification such alterations in design and manufacture as deemed necessary in line with our policy of continual product improvement.